The classic series. Essential phonics plus your imagination. Get primed for school success. There’s a reason Jolly Phonics is a favourite. 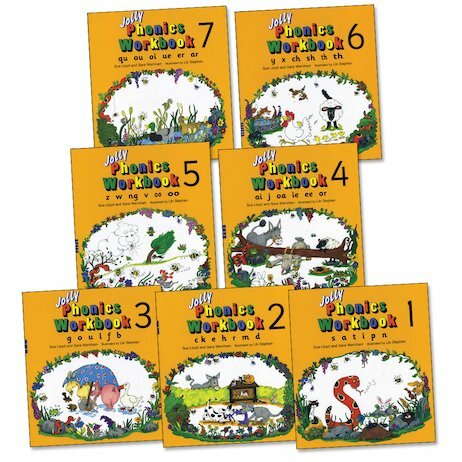 No other phonics series has such a focus on play while helping you read and write. Don’t forget – these key skills are at the heart of the school curriculum. So how do you master them? Just imagine: tracing snakes to make the letter ‘S’. Or pretending to be a plane that goes ‘nnnnnn’. Explore letters and sounds, write your name and build pencil control by tracing and colouring. Jolly phonics: happy learning.